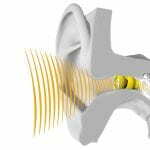 Invisible hearing aids, as the name suggests, are not visible to the eye. They are hidden deep in the ear canal and, like most hearing aids, there are a number of styles or variations to invisible hearing aids. They have a variety of names such as ‘invisible-in-the-Canal’ (IIC), contact lenses for the ear, extended wear hearing aids. These are custom made hearing devices, which generally means an impression of your ear is required to fit them, (not all require an impression of your ear). They sit deep down your ear canal so the procedure to take the impression can sometimes be a little uncomfortable, but your Hearing Healthcare Professional will take you through the process so you know what to expect. The natural resonant frequency of your ear (individual to every person) is preserved as the microphone sits deep in the ear canal. 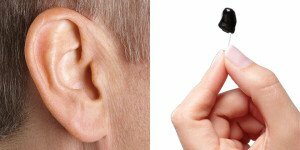 The invisibility of the hearing aid – its ‘cosmetic’ appeal – means no one has to know your hearing levels aren’t what they used to be. Not all ears and hearing levels suit invisible hearing aids so it’s worthwhile to investigate what’s out there and whether an invisible hearing aid would suit you. 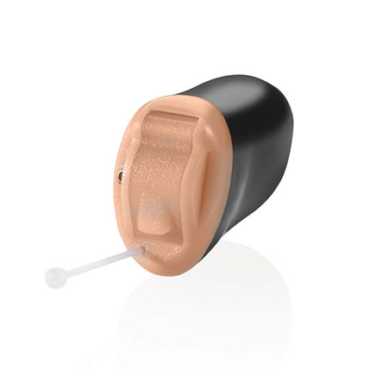 Fitting procedure – an IIC can be fitted after a custom impression is taken of your ear, (the Signia Pure Nx IIC does not require an impression and can be fitted immediately). An impression of your ear involves placing a foam or cotton block deep in your ear canal and then a putty-like impression material is syringed into your ear canal. It takes a few minutes to set and then is sent off to the manufacturer. An extended wear invisible hearing aid does not require an impression. Instead a thorough inspection of the ear canal with a high magnification device is required to determine where the hearing aid should sit deep and comfortably in the ear canal. As no impression is required of the ear canal, it can be fitted once your ear has been determined as acceptable for a Lyric. Your Hearing Healthcare Professional (HHP) will then measure your ear canal for the correct Lyric size. Once the correct Lyric has been selected it will be inserted by your HHP with the Lyric insertion tool. The hearing aid will then be programmed for your hearing levels. Batteries – IIC batteries need to be changed every 4 – 7 days. The Lyric does not need to have the battery changed and can last up to 4 months. 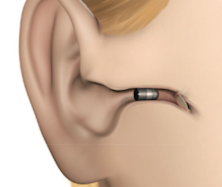 Removal – IIC hearing aids are removed whenever you want to take them out. The Lyric is removed for some medical procedures (MRI) or when it stops working. It needs to be removed for activities such as scuba diving or skydiving. It should be removed if it is painful. You can remove the Lyric yourself, or get your HHP to remove it, but once it is out, you need to purchase a new one. Cost – the Lyric is sold on a subscription plan, which will cover up to 8 new Lyric devices a year, starting at around $3000 a year. IIC hearing aid costs are per device. Are your ears suited to invisible hearing aids? There are a number of factors to take into account when deciding if invisible hearing aids are suitable for you – they aren’t for everyone. If your hearing levels sit in the severe to profound range, you probably won’t be able to wear invisible hearing aids. The tiny devices just don’t have enough power to make speech loud enough for you to hear. 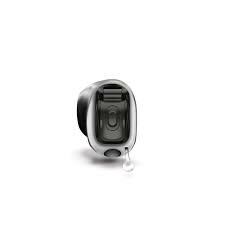 Invisible hearing aids are most suited to those with hearing levels in the mild to moderate range. The size and shape of your ear canal also plays an important factor in your suitability to these style of hearing aids. If you have narrow ear canals, or very small ear canals, it may not be possible to take an adequate impression for a successful fit of an invisible hearing aid. If your ear canal shape is ‘bendy’ or ‘unusual’ the positioning of the microphone for optimal hearing may be difficult and you would be advised to consider a different style of hearing aid. Do you have dermatitis or suffer from fungal infections in your ears? Do you have otitis externa or produce excess wax? If so, these conditions may impact on your ability to wear invisible aids comfortably and/or successfully. Discuss any ear conditions you have with your Hearing Healthcare Provider to see if invisible aids are appropriate for you. Earwax can be a problem for some people with an invisible hearing aid. The biggest issue is when wax gets into either the receiver or microphone. If this happens, your hearing aid will not work properly. Talk to your Hearing Healthcare Professional to see if they think earwax will cause you issues if you decide to purchase as invisible hearing aid. If you have arthritis in your fingers, manipulating an invisible hearing aid may be very difficult for you and not be the ideal choice of hearing aid. The same can be said if you have reduced vision. 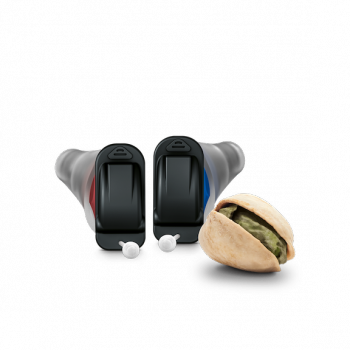 Orientating the hearing aid correctly, or changing the tiny size 10 batteries may be challenging and you may opt for a hearing aid that offers a better solution (such as a rechargeable hearing aid).